In addition to the burning sensation, other conditions- such as a dry or sore mouth or a tingling or numb sensation throughout the mouth and tongue-may occur. A bitter or metallic taste also may be present. This condition can affect men and women, but it is especially common in women during or after menopause. At Dayan Dentistry in Toronto, Dr. Ellen Dayan & Dr. Jessica Gold will advise you on additional information regarding the syndrome. The exact cause of burning mouth syndrome often is difficult to pinpoint. The disorder has long been linked to a variety of other conditions: menopause, diabetes, nutritional deficiencies, tongue thrusting, disorders of the mouth (oral thrush and dry mouth), acid reflux, cancer therapy (irradiation and chemotherapy) and psychological problems. Some researchers also have suggested dysfunction in the nerves supplying the mouth and tongue as a possible cause. Strictly speaking, the term "burning mouth syndrome" should be used only when a definite cause has not been found. YDr. Ellen Dayan & Dr. Jessica Gold can confirm the diagnosis and develop an appropriate treatment plan. Dr. Ellen Dayan & Dr. Jessica Gold will review your medical history and ask you to describe your symptoms. First, any oral conditions causing the burning sensations should be investigated. For example, if you have dry mouth, Dr. Ellen Dayan & Dr. Jessica Gold may advise that you drink more fluids or may suggest saliva replacement products that can be purchased at a pharmacy. An oral swab or biopsy may be used to check for thrush, which is a fungal infection; thrush can be treated with oral antifungal medications. 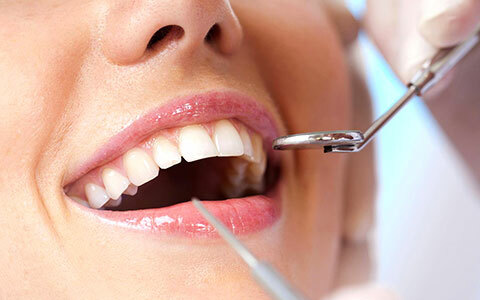 Any irritations caused by sharp or broken teeth or by a removable partial or full denture should be eliminated. Consider trying a different brand of toothpaste (look for products with the ADA Seal of Acceptance). Look up the side effects of any medications you are taking (such as those used to treat high blood pressure). You can ask a pharmacist, check a Physicians' Desk Reference at the library or go to the Internet for this information. If any of your medications are reported to cause a burning sensation in the mouth, ask your physician to consider prescribing a substitute medication. Also, some medications can cause dry mouth, which might aggravate the condition. If Dr. Ellen Dayan & Dr. Jessica Gold determines that no oral conditions are causing the burning sensation and the steps listed above do not resolve the problem, disorders such as diabetes, abnormal thyroid conditions, Sjögren's syndrome (a rheumatological disorder), mineral deficiencies or food allergies should be investigated. This usually involves referral to your family physician and the use of blood tests.